I know from experience the path to a higher education is one that many start, but only a few finish. I am able to count myself among the few who will finish and have Halifax Community College (HCC) to thank for this accomplishment. 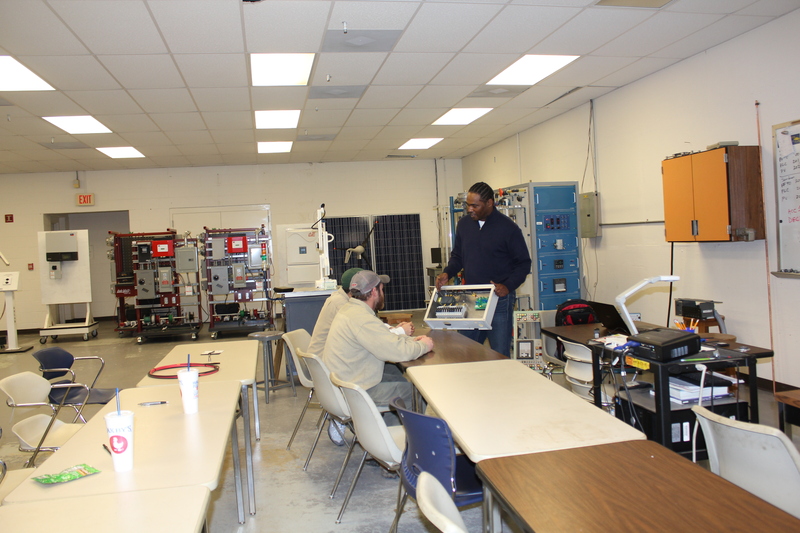 I put in the hard work and HCC provides the support that I need to complete an Associate Degree in Industrial Systems Technology, as well as several certificates in Industrial Systems Technology. My hard work, Halifax Community College's support services, and the work-based learning experience provide me with the skills needed to develop my overall self. I have a solid 4.0 GPA and am a proud member of Phi Theta Kappa (PTK) who is scheduled to graduate this May. I must say, holding up these standards is a task within itself. My challenge was learning to balance time for work, family, and studying. Nevertheless, I am able to manage all three because I have become a skillful planner. Yes, there are times when I want to give up, but I always know that I am not on this journey alone. I have faculty, staff and personal family members who are with me. This is not just my success, it is also for those who continue to help and see me through.